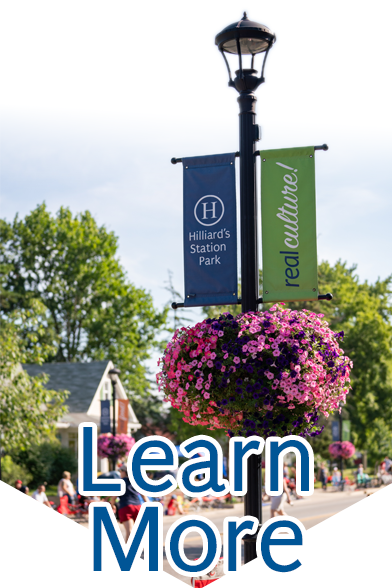 In November 2018, Hilliard voters passed Issue 33, approving a charter amendment to change the City’s form of government from “Mayor-City Council” to “City Council-City Manager”. City Council had voted on May 14, 2018, to approve Ordinance No. 18-09, which placed on the ballot on the November ballot. The passage of Ordinance 18-09 was not an endorsement by the whole of City Council to change the City’s form of government; rather it is a decision by the affirming members to let the electorate of Hilliard vote on this matter. When voters approved Issue 33, they agreed to transition the City from a “Mayor-City Council” form of government to a “City Council-City Manager” form of government. This change will take effect on Jan. 1, 2020. During 2019, City Council will conduct a search process to hire Hilliard’s first city manager. Under this new form of government, Hilliard voters will continue to elect members to City Council, who (by a two-thirds affirmative vote) will appoint a city manager to be the chief administrative/executive officer of the City. A city manager reports directly to City Council and implements the City’s operating and capital budgets (as approved by City Council.) City Council directs the city manger to enter into contracts and perform certain actions on the City’s behalf. Just as happens under the current form of government, City Council establishes various policies by enacting legislation. The city manager implements those policies as directed by Council. At an organizational meeting of City Council, members will elect a president of council, who will also serve as the City’s mayor. The City Council member elected as vice president would serve as the City’s vice mayor. In this new system, the mayor will serve in a ceremonial capacity and will have no veto power over legislation passed by Council. The mayor also will appoint a magistrate to hear and decide misdemeanor cases in Hilliard’s Mayor’s Court, subject to the approval of a majority of City Council members. If the person serving as mayor is a licensed attorney, he/she may act as magistrate subject to the approval of City Council. The city manager serves at the pleasure of City Council. There is no right of recall to Hilliard residents to recall or vote out a City Manager from his/her position. Under the “City Council-City Manager” system, the City Manager is responsible for employment decisions for all department directors effective Jan. 1, 2020. The duties of certain directors were also refined as a result of the passage of Issue 33. Issue 33 changes included the adoption of a merit system, whereby all appointments and promotions of employees of the City will be made according to merit and fitness through a competitive selection process. City Council is responsible for establishing a Code of Practices and Procedures to define and govern this merit system. Additionally, a Personnel Review Board will have the power to hear appeals by City employees from administrative determinations made pursuant to the Code of Practices and Procedures. The passage of Issue 33 eliminated the City’s Civil Service Commission. The seven members of the City’s Planning and Zoning Commission will be appointed by City Council.